Xi'an! Home of the famous Terracotta Warriors. 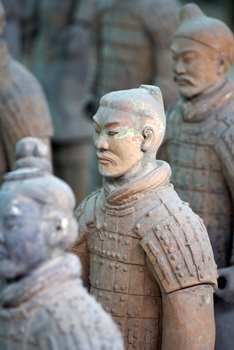 These man-size clay figures were found in 1974 in the tomb of Qin Shi Huangdi, the first Emperor who ruled over all of China. 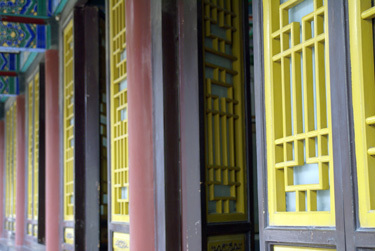 Qin Shi Huangdi died in 210 BC, so these things are old! 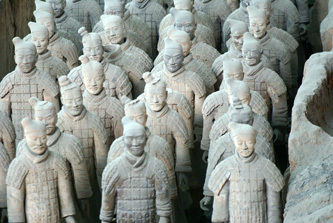 I've seen the Terracotta Warriors before. At least, some of them. 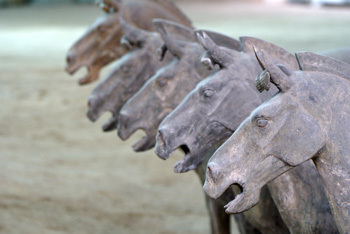 In 2008, some of the Warriors could be seen in the Drents Museum is Assen (the Netherlands). But that was just a handful, in Xi'an there are lots more. And yes !! 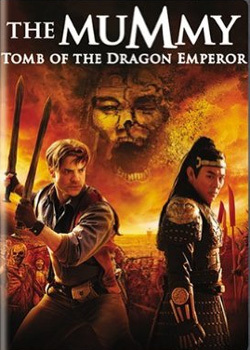 I've seen "The Mummy 3 - Tomb of the Dragon Emperor". 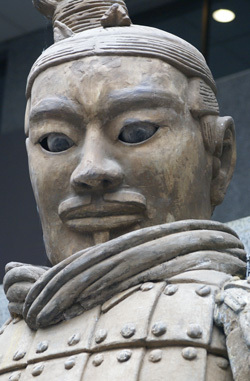 Is that the real story about Qin Shi Huangdi? 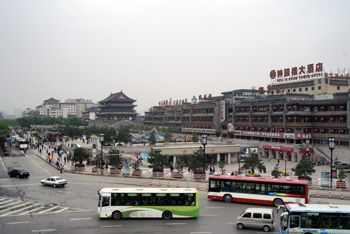 Xi'an itself is well worth visiting. There's a lot of history here. 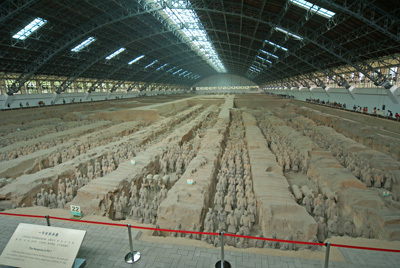 Xi'an used to be the end of the Silk Road, and once (1200 years ago) it was the largest city in the world. The 14 km long city wall is enormous. And the Great Mosque is worth visiting too, even though it looks just like a Chinese temple . 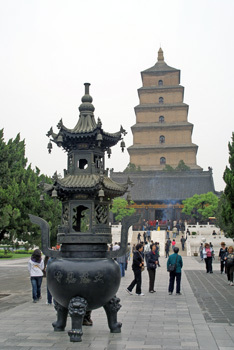 And another temple (yes, I know, after Pingyao we promised not to visit anymore temples)... the Great Wild Goose Pagoda (Dayan Ta). This one's special, because of the 64 meter high tower.